When food costs rise, profit margins sink and restaurant owners must take action. 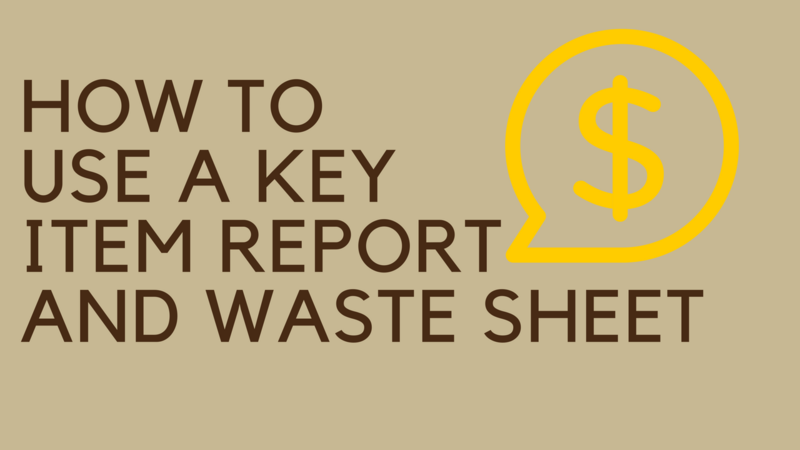 In the last few weeks, you learned about the key item report, and the waste sheet. Now I will share one final trick for reducing food costs and increasing profit margins by sharing the real magic – using the two systems together. When it comes to theft, these systems together virtually eliminate theft of each of the tracked items. These two simple systems will only take you 10 minutes to put in place. If you would like to learn more about lowering your restaurant food cost with a key item report and a waste sheet, schedule a free coaching session. To learn more tips and tools for lowering food cost in your restaurant, read our free special report, Breaking Away from the Insanity: How to easily take control of your restaurant and make more money. Download it here.